A wide range of health problems can cause chest pain, all of which deserve medical attention. Several issues relating to the heart can cause chest pain, but many other causes are related to the digestive system, musculoskeletal system, and respiratory system. Chest pain is one of the most common reasons people call for emergency medical help. Every year, ER (emergency room) doctors evaluate and treat millions of people for chest pain. Fortunately, chest pain doesn't always signal a heart attack. Most often, chest pain is unrelated to the heart. But even if the chest pain has nothing to do with the cardiovascular system, what is causing it may still be important and worth the time seeking medical help for evaluation. 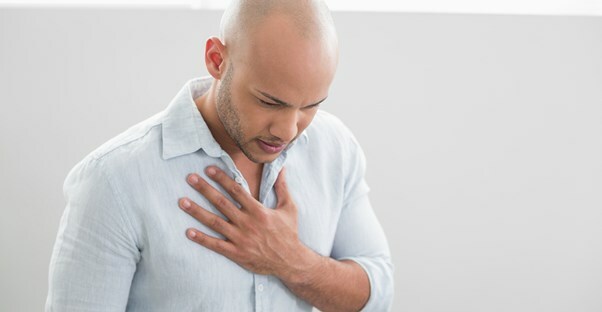 In general, a chest pain related to a heart attack or other heart problem is associated with one or more of these symptoms: pressure, fullness or tightness in the chest; crushing or searing chest pain that radiates to the back, neck, jaw, shoulders and arms, especially the left arm; pain that lasts more than a few minutes, goes away and comes back or varies in intensity; shortness of breath, sweating, dizziness or nausea. There is no easy way to identify the chest pain cause without seeing a physician. A wide range of health problems can cause chest pain. In general, a chest pain related to a heart attack or other heart problem is associated with one or more of these symptoms: pressure, fullness or tightness in the chest; crushing or searing pain that radiates to the back, neck, jaw, shoulders and arms, especially the left arm; pain that lasts more than a few minutes, goes away and comes back or varies in intensity; shortness of breath, sweating, dizziness or nausea. Non-heart-related chest pain symptoms may include a burning sensation behind the breastbone (sternum), a sour taste or a sensation of food re-entering the mouth, trouble swallowing, pain that gets better or worse when changing posture, pain that intensifies when breathing deeply or coughing or a tenderness when pushing on the chest. If one is experiencing a new or unexplained chest pain, or suspects he or she is having a heart attack, emergency medical help is necessary. Self-diagnosing heart attack symptoms is a waste of time. Every minute is crucial if a heart attack is taking place, and a quick trip to the ER can save lives. Chest pain that comes on or worsens with exercise, stress, or eating a large meal and goes away with rest may be a warning symptom of heart disease. Many types of chest pain can come on suddenly, develop slowly, or even continue after diagnosis. Long-term chest pain symptomsmay simply be the repetition and recurrence of early symptoms, including arm pain, back pain, chest contusion (bruising on the chest wall), chest swelling, chest tenderness, cough, coughing up blood, difficulty breathing, faintness, loss of consciousness, neck pain, nausea, jaw pain, palpitations, excessive sweating and wheezing. Some chest pain symptoms may make the chest pain worse, such as coughing, deep breathing, movement of the chest or spine (twisting or bending the trunk), pressing on the painful region of the chest and sneezing. Common symptoms related to angina is dull, heavy, squeezing, or pressure-like chest pain, usually located under the breastbone (sternum), for longer than twenty minutes, usually triggered by physical exertion and is most commonly relieved with rest. Chest pain from angina may spread to other locations such as the neck, jaw, shoulder, upper back, arm and the upper abdomen. Pleurisy can cause chest pain over the course of months and even years. A person with pleuritic chest pain has pain that worsens with breathing, most commonly recognized by a sharp, stabbing pain in the chest during deep inhalation and sometimes coughing.